Bauma version as part of a HH set. They’ve not been produced for a while now. 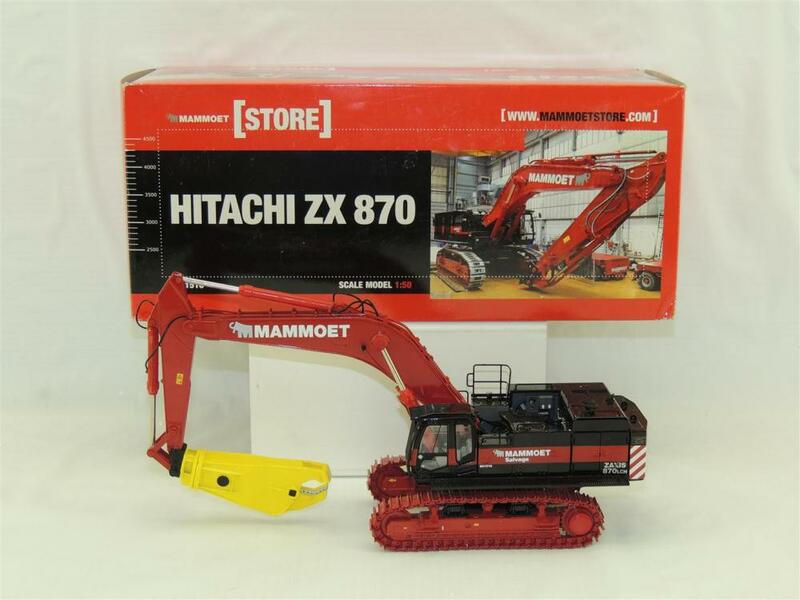 I’ve the Mammoet version and I think 3 standard Hitachis with the bucket. There is an Ocean Traders livery,mainly light blue,and dark blue.There is no real machine,Ocean Traders are a transport,not equipment company.There is also a Hoffland sloopwerken,livery.Mainly yellow.A dutch demolition company.They are quite hard to get hold of now,in any colour,as they only did runs of a 1000 of each. Forgot about the Ocean Traders one and didn’t know about the Hoffland. Do you have the Hoffland? No.I have only seen pics.I think WSI only did a very limited to the dutch market,run,probably much less than 1000.It definitely isn't a custom piece.I have never seen it in a shop,or,available anywhere. I thought I read that there were less than 20 for Hoffland? 13 comes to mind, but thats a hell of a short run. I also agree, although the ZX470 is quite a nice one too for the size. 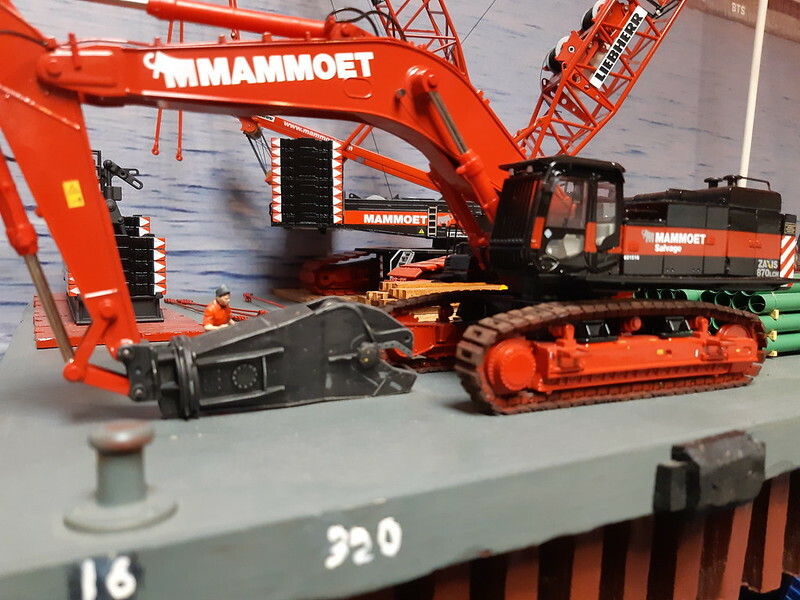 I have the Mammoet version to which I added custom Conrad tracks and shear tool (weathered as protoype). I still kept the originals since it is a collector and rare model. Hitachi Orange with bucket, processor and shear. Kibag with bucket, processor and shear. 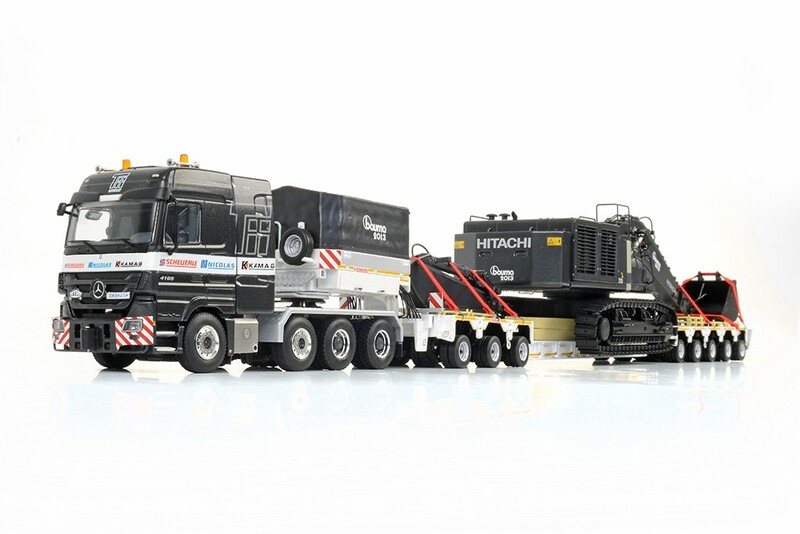 Low gloss black 2013 Bauma edition with bucket and removable stick. Hoffland sloopwerken yellow with shear. I do not believe this was ever sold in stores, there might have been only one made. The Mammoets are a hard pill to swallow. Such a beautiful model but plagued with zinc rot. I have 2, one is barely holding together and the other one completely fell apart. Wow what a bummer... I wonder why it is only with the Mammoets? Maybe a chemical reaction of some type?? Max: Are you saying the Mammoet 870s get zinc rot, or all the Hitachi 870s? He was asking 600£ plus post way to much for me . Bought a 1400 Mammoet instead. 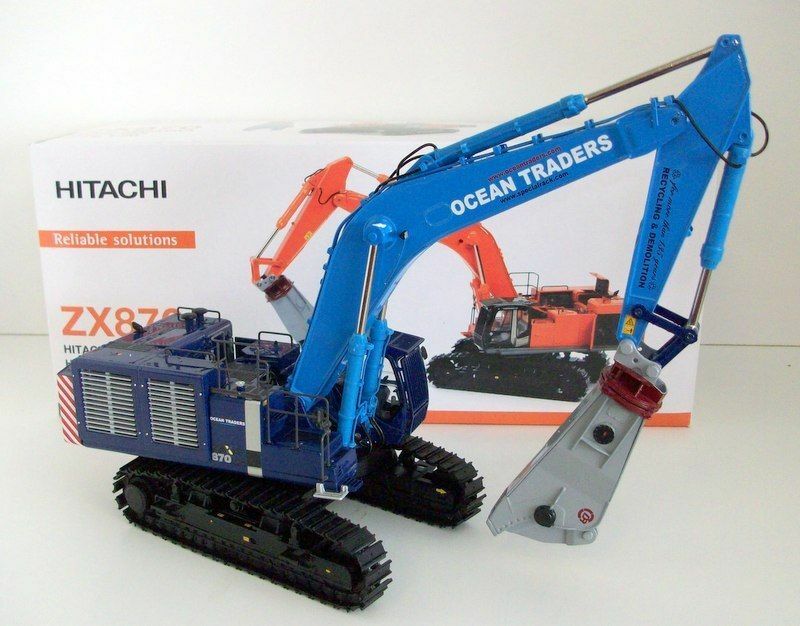 Seems just the Mammoets as I have 2-3 Hitachis in standard colour and they are okay. Lucky for me that my Mammoet one is also okay and likely will soon be sold.